Editor’s note: This piece was contributed by Dr. Jocelyn Faubert, of Faubert Laboratory, in partnership with University of Montreal. Driving skills involve complex tasks that place demands on a wide range of mental abilities. Within the military, drivers face even more extreme environments with higher risks associated with errors. In either case, it is important to understand if cognitive function and abilities can predict driving performance and accident risk. With a team of eight other neuroscientists at the Faubert Laboratory (University of Montreal), we used a novel combination of driving simulations and high-level cognitive assessments to test cognitive aptitudes against performance and risk. The findings could potentially lead the way to easier and more efficient assessment of military driver capabilities. The study spanned several years, and included 115 young (18-21 years old), middle aged (25-55 years old), and elderly drivers (70-86 years old). We assessed their driving skills in the VS500M – a simulator built with real car parts and force feedback steering. With a 180 degree field of view, the participants spent two hours driving in city and rural environments, as well as on the highway. Each scenario included dangerous events that forced emergency responses to avoid accidents with other vehicles or pedestrians, requiring sudden steering or braking to react to life-threatening encounters. It is known that when mental resource demands exceed what’s available, driving ability can be critically impaired. For this reason we compared driving behavior across low, medium and high cognitive load scenarios. The high cognitive load driving scenario created demands similar to those typically experienced with military driving skills under moderate to high pressure. We evaluated these loads against age and driving experience to identify which combination of factors put people most at risk of driving accidents. The simulator captured a wealth of data on driving performance, including 18 specific measures of driving skill. These were rigorously analyzed to capture not just errors, but also nuanced driving behaviors, such as the anticipation distance at which a driver starts to respond to an oncoming threat. This new level of analysis allowed us to reveal poorly adapted skills that could contribute to potentially high-risk driving. Previous research has shown that young drivers tend to have increased risk on the road due to a lack of experience and greater risk-taking tendencies, while older drivers tend to be less aware with slower reactions, and compensate for this by driving more slowly. In the simulator, drivers were not told what speed to drive so they would behave more naturally. This approach allowed us to reveal behavioral characteristics varying from one driver to another. As expected older people generally drove more slowly, but interestingly, across all age groups, experienced drivers also tended to drive more slowly than inexperienced drivers. Younger participants were more likely to be involved in near crashes than older drivers, and after perceiving potential threats, older drivers took defensive action earlier than younger drivers. However, older drivers were also less likely to identify these threats in sufficient time to react appropriately. We suggested this behavior may be linked to perceptual-cognitive changes associated with ageing. In terms of strategies for responding to dangerous events, younger drivers tended to favor steering movements to avoid crashes, while older drivers were more likely to brake abruptly. Overall the broad range of metrics revealed contrasting traits across the sub-groups, and it would be interesting to see if this methodology would bring out particular characteristics across various military driving populations, vehicle types, or performance specific scenarios. We selected a 3-D multiple object tracking (3D-MOT) assessment known as ‘NeuroTracker’, in order to measure an individual’s capability to capture and integrate relevant information in a highly complex visual environment. While previous driving studies have compared isolated measures of cognitive function such as working memory, this high-level cognitive task was used as an integrative and dynamic test in order to be more relevant to the broader cognitive abilities involved in driving. The general findings of this study were well corroborated in a separate smaller study, which use the same cognitive assessment and a very similar overall methodology. Statistical analysis of the cognitive function test results demonstrated that they effectively predicted elevated risks of crashes. More specifically, the data predicted steering rate and the distance at which large steering reactions were made, suggesting that mental speed of processing may be a factor in making earlier evasive responses. In military driving scenarios with common demands for emergency responses, such cognitive data might yield relevance for assessing actual mental capacities required to perform at optimal levels. Lower scores on the cognitive function test also correlated significantly with slower average driving speed for older adults, providing evidence towards the theory that driving more slowly is related to the cognitive effects of ageing, rather than simply being more careful. Though different from the effects of healthy ageing, other military related impairments in cognitive function, such as stress or fatigue, could likewise lower the normative speed for safe driving. With focused research, this might lead to recommended driving speeds for various in-field scenarios in order to minimize errors and accident risks, while maintaining acceptable driving performance. While putting individuals through driving simulators to assess their skills on the road is useful in theory, it’s not very practical due to high resource and time costs. In contrast, high-level cognitive tests can be inexpensive to administer, take just minutes to complete, and can be performed remotely through a web browser. 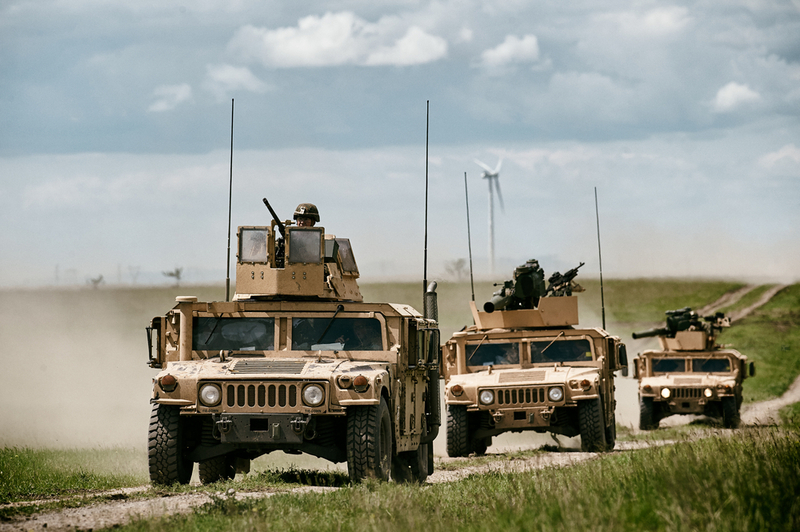 Though this assessment was limited to ordinary drivers, in principle, the same approach should be very relevant for assessing a variety of military driving skills. 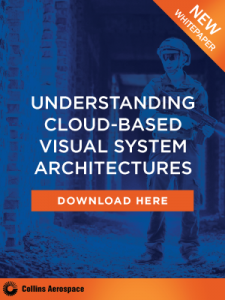 This is because many of the same fundamental performance demands are involved, particularly for the high-cognitive load and emergency response scenarios that we used. For military drivers, the risks associated with errors can have substantial cost and mission outcome consequences. Therefore it would be valuable to replicate this study approach using specific performance metrics most relevant to military driving needs. If the results similarly show a strong correlation between simulator metrics and high-level cognitive measures, this could lead to a highly practical means of assessing individual driver capabilities through cognitive testing. If you’d like to contribute expert insights on training and simulation trends and best practices to Modern Military Training, please reach out to our editorial team here. I/ITSEC in Review: How Far has the Military Training Industry Progressed? Dr. Jocelyn Faubert is the Director of the Faubert Laboratory at the Université de Montréal, Canada, and Director of the non-profit Faubert Applied Research Centre. He is a professor at the university’s School of Optometry, and is also a member of the Biomedical Engineering Institute and the Institute for Neurosciences Research. Dr. Faubert holds a number of patents, in the U.S. and internationally, on technologies related to vision, brain function, virtual reality, and human performance. 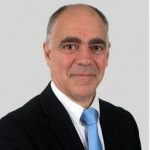 Professor Faubert has been involved in the award-winning technological transfer of research and developments from the laboratory into the commercial domain.